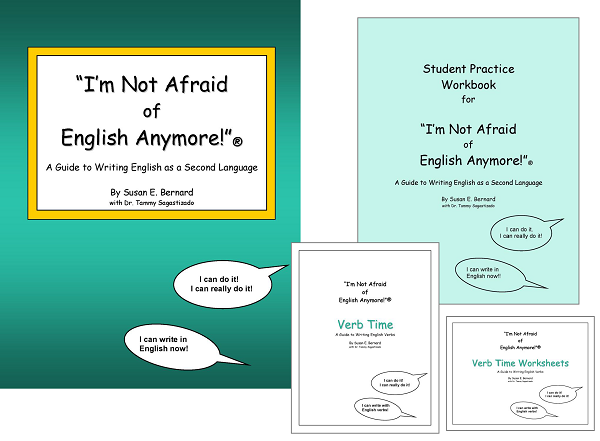 I'm Not Afraid Publications, Inc.
"We Passed our High School Equivalency Tests!" 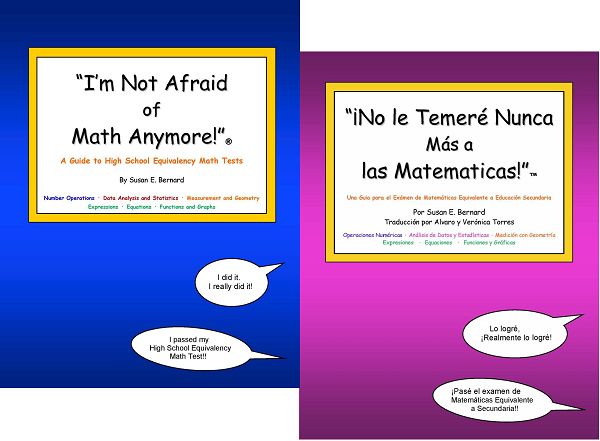 "I'm Not Afraid of Math Anymore!" "I Did It! I Really Did It!" "It Feels Great to be a Graduate!" "I Passed the GED® Test!" 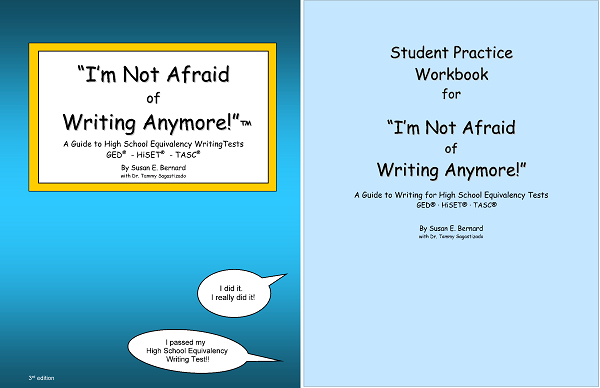 Translation: As a teacher of GED®, having used this book has resulted in providing much help for my students. For this reason I recommend this book for preparing for GED®. Translation: "This book is fantastic. Students have access to the most relevant topics they face in a high school equivalency test. The subject is covered in a very friendly and amusing way, making it fun to learn from. I will recomend it to every student that is preparing for an HSE test." 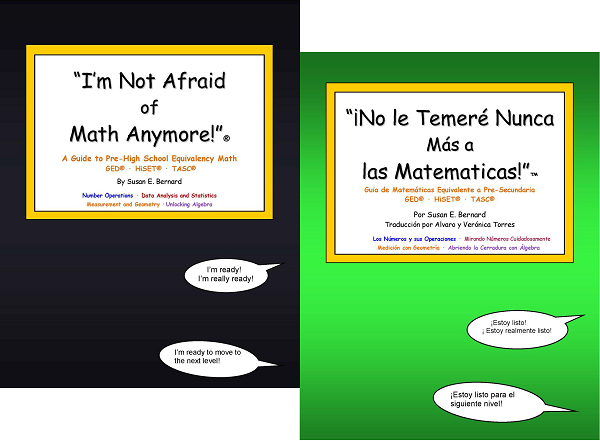 Translation: As a math teacher for the HSE program in Spanish, the math book "I’m Not Afraid of Math Anymore!" has been a fundamental tool since it is a book that explains math in a simple and practical way. Its graphical presentation facilitates my students in their learning and thus assists them in passing their HiSET® mathematical exams. I was extremely fortunate to meet Susan Bernard and her amazing series of ‘I’m Not Afraid of Math Anymore!’ books. I really was terrified of math! I’m not sure I would have had the confidence or the competence to have taken the GED® test and passed the math section without her well-written and informative books. Two years later in the midst of my academic career I reached out yet again to Ms. Bernard for help in brushing up on those same skills and gaining new ones in order to earn my associate's degree. I’m proud to say that I graduated with my Bachelor of Arts and then Master's in Social Work from the University of Oklahoma. While at OU, I was awarded some of the highest honors including Outstanding Senior in the Professional Programs award in 2015. I also accepted a graduate research assistant position in order to work my way through graduate school. Had I not met someone who cared about her students’ success and who had developed educational material that matched her excellence in teaching, I wonder if I would have made it past the first weeks of GED® class. Her books made me believe that I could do it, and I did!" © I'm Not Afraid Publications, Inc. 2007-2019.